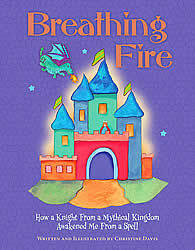 We are committed to creating books that will enchant readers of all ages. Take a moment to browse through the selections below, and click on any image for more information, sample pages and to purchase. In the summer of 2012, an extraordinary event catapulted author Christine Davis down a road that brought her face-to-face with a lifetime of hidden sorrow from abuse she endured as a child. Her journey begins in the mythical kingdom of Camelot, where a knight is waiting to step through time and space and awaken her from a spell. 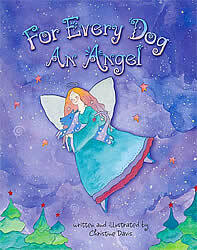 This is the magical companion book to our titles For Every Dog An Angel and For Every Cat An Angel. 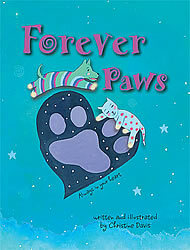 Our newest book of comfort focuses on what happens when the time comes to say goodbye to our treasured animal friends. If you are welcoming a new puppy into your home, celebrating the forever dog in your life, or saying goodbye to a beloved dog companion, For Every Dog An Angel is the perfect way to remember that timeless connection to your special four-legged friend. 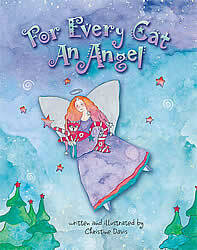 If you are welcoming a new kitty into your home, celebrating the forever cat in your life, or saying goodbye to a beloved dog companion, For Every Cat An Angel is the perfect way to remember that timeless connection to your special four-legged friend. 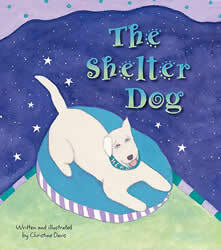 Hero is an Angel Dog, who wants to go back to earth to experience the joy of being adopted. After all, he thought, what could be better than having a very special person choose you – out of all the other dogs – to come home and live with them? As Hero is about to find out, things don’t always turn out the way you plan. Sometimes they turn out better! 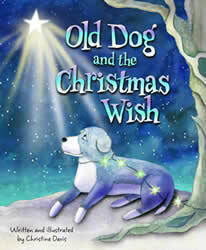 It is Christmas Eve, and an old dog lies in the yard, alone and forgotten. Beyond the fence, something is about to happen that will awaken the strong spirit that still runs deep within his tired old bones. Whispers of a Christmas wish will reach the heavens, and suddenly anything is possible on this very special night.